I am contacting you to say a huge thank you for all of your support when I received the cancer diagnosis. As you know I was absolutely terrified at the thought of chemotherapy. However, with you amazing help I sailed through it and all the treatments whilst I carried on working as well. With the help of some Russian hair extensions I was able to remain feminine, which was a big issue for me. I really want to thank you personally, I couldn’t have coped without your healing and support. Thank you so much for all the positive changes you have helped me make. My life is unrecognisable from the one I was living when I first came to see you. You have helped me put the past behind me and find some peace in my life. My Testimonial – I came to this with an open mind. I had never been involved with hypnotherapy before but was desperate. After only four sessions I was able to feel I was turning a corner and with the help of the CD’s to use at home my problem simply dissolved. I can now lead a normal life and am very grateful to SARA for helping me. Very Professional, told her my issues she made notes and did her MAGIC, only took 3 sessions. I highly recommend her services if you have any issues just go and talk to Sara you will not be disappointed. I just wish I had went earlier. BRILLIANT. Following some life changing events over the last 18 months, I was struggling to cope with even the mundane pressures of every day life, my confidence was eroded and I quite literally shut myself away from everyone. Sara worked at a pace that was dictated by my responses, never rushing and allowing me to make steady progress, slow at times but sometimes taking what felt like monumental steps forward. By far the strongest feeling that I came away with was that Sara guided me to seek my own answers and this gave me back the confidence to live the life I want, to face the setbacks along the way, and be the best I can be. I couldn’t have asked for more! My Testimonial – Anxiety had been a problem the majority of the last 6ish years and I have tried many different ways of resolving the relationship with my emetophobia. Before my first consultation with Sara I was slightly sceptical but knew that something needed to be done about my growing levels of stress. But within a few sessions I felt manageable, happy and comfortable again and I have been able to return to my normal jolly self and also helped tackle a fear I thought would always haunt me. These sessions have been the best decision I have ever made! I can honestly say I was very sceptical about a course of hypnotherapy but I was desperate to find a way of helping to save my marriage. I’d already had a course of counselling but felt I needed something “extra” to become completely cured. I went to see Sara and she explained how it all worked, made me feel completely at ease. I explained my problems and fears going back a number of years. She worked out an individual plan and I genuinely felt that it could work for me. After several sessions relaxing and calming treatments at her practice and the use of the tailored CD’s at home I feel completely cured, no more fears, insecurity and no more disbelief. My marriage of 24 years has now been saved. Sara has changed my life. I have battled with depression since the age of 17 (I’m now 24). I always thought depression would always be a part of my life, I had resigned myself to the fact that I would always need to find new coping mechanisms to battle an eating disorder and depression. After 8 sessions with Sara my life has changed, no longer do I suffer! Life feels so much more positive and so much less of a struggle. Thank you so much for everything, you truly have changed my life. I am a different person today because of Sara’s expertise. Her wealth and breadth of knowledge, coupled with her friendly reassuring manner instantly puts you at ease and fills you with confidence that you are completely safe in her hands and I cannot recommend her highly enough. I have suffered with blushing for over twenty years and finally thought enough was enough; I would blush at work, with friends, even when I was on my own. First I tried counselling but after six sessions realised that whilst I understood some of the reasons behind it, I blushed as much as before; it had not stopped the habit that I had got myself in. I contacted Sara and she reassured me that she could help and had helped numerous other people in similar situations. I had five sessions with Sara plus personal CDs – after my second session I noticed a huge improvement and by the end of my fifth session my blushing had reduced from half a dozen times a day to once or twice a week. I now feel more relaxed and more confident, particularly at work where I would almost always be ‘on edge’ waiting to blush. After years of living in debilitating fear of all things medical, I nervously contacted Sara Stevens to enquire if she would be able to help me. My fear was so severe that I was unable to seek medical advice and lived in absolute dread of injuring myself or being ill in case of having to undergo medical treatment of any kind. Even a simple blood test was just too scary to even contemplate. To my relief Sara instantly put me at ease, she didn’t make me feel silly for feeling the way I did and I found that I was able to talk to her easily and explain my fears to her in detail. With careful coaxing she expertly connected a series of events that had happened in my childhood to the way I had conditioned myself to behave in the present day. Having discovered the root cause of the problem, Sara was able to set to work helping me to face my fears and overcome them. The treatment was both relaxing and empowering and I feel better now than I have ever felt before. My confidence has increased and I spend less time worrying about trivial things. I have even managed to have a blood test, much to everyone’s surprise! I am a different person today because of Sara’s expertise. Her wealth and breadth of knowledge, coupled with her friendly reassuring manner instantly puts you at ease and fills you with confidence that you are completely safe in her hands and I cannot recommend her highly enough. I came to see Sara because I wanted help with panic attacks and anxiety; I had had counselling over the years and tried many ways to help myself which had helped, but there was still a residue of anxiety which I could not shift. This was eroding my confidence and stopping me from enjoying life and being truly positive. I have just completed a number of sessions with Sarah and have to say it has been a very powerful and uplifting experience. It is early days yet but already I have been able to put myself in situations which I would have avoided before, without feeling the usual panic and feel as if a weight has lifted from my shoulders. Sara is professional, understanding and truly supportive and I would have no hesitation in contacting her again should I have any need in the future. I went to see Sara for problems with self-esteem and confidence issues and cannot believe the difference her hypnotherapy sessions have made on my life. I really cannot begin to thank her enough. Just to let you know that since our last session nearly a month ago my diet has gone really well, I have stuck fast to the health options and I am now used to smaller portions. I am so pleased to have still managed to lose weight without feeling that I going without little treats and I now feel confident in my ability to make the right choices. I can’t thank you enough for putting me on the right track. Sara put me at ease from our first meeting; she explained what would happen in the sessions and explained the different techniques as we went along. I didn’t feel able to approach my GP for a referral so paid privately but it was definitely money well spent and I wish I had done it years ago. Thank you Sara, I am so grateful for your help. Sara is an absolute professional in her field of work, with in depth knowledge and skills to achieve fast results. I suffered with Spondylosis of the fourth vertebra and was reliant on pain killers and unable to work, with just one therapy session back in 1999 I have been symptom free to date, truly remarkable. I just wanted to say a massive thank for the brilliant work that you have done with me over the last 6 month to put my life back on track. Somehow I found myself in a really bad place where anxiety had taken control of me and I knew I needed help. Thank god I didn’t listen to my doctor who offered to put me on beater blockers! My Dad found you and I gave you a call. Just to hear you say don’t worry I can help you with this was a massive relief, what you do is very special. I realised that you have to be very brave and face things head on when everything in your mind is telling you to do the exact opposite. I feel like I have come out the other side in a much stronger place and I’m going to use this as a chance to push on with my work life and my life in general. I had my 9th wedding anniversary in March and my wife put in my card that she was so please to have her husband back! Thanks again for everything, keep up your special work. I had been suffering with quite severe insomnia for many years, sleeping little for several days in a row, and often waking very early. This was having an obvious negative impact in various areas of my life. Doctors had prescribed sleeping pills and made practical suggestions, but nothing really had helped. I approached Sara as a last resort, open minded, but also a little sceptical. After a few sessions it was clear that the hypnotherapy was having a strong positive effect, and I haven’t had any major bouts of insomnia since. Its still fairly early days, but I feel confident about the future, and looking back the whole process makes sense even though it was at first mysterious. Many thanks Sara! Thanks so much for sorting my head without messing with my head. Thank You Sara, my meeting was good, I was cool and calm and full of ideas with very little nerves. I could even say I quite enjoyed it. I feel like I’ve had an amazing transformation. Thanks for all your help. I’ll definitely recommend you to friends. I just wanted to thank you for the help you have given me in transforming my life. I am still very much a work in progress but I know I’m heading in the right direction thanks to you. I just wanted to let you know my progress and to say a huge thank you. Last month I had 3 sessions with you for my fear of flying. I was unsure whether my treatment had worked but last week I flew out to the Maldives on my honeymoon and had no fear. It was wonderful and for the first time I actually enjoyed the experience which I never thought possible. I am sure you have many success stories and I am definitely one of them. I cannot thank you enough for the treatment you gave me and for making a real difference in my life. I will highly recommend you in in the future. I just wanted to say a massive thank you for all your help, time and guidance over the last few years. It’s really made a huge difference and helped me feel much more confident and able to live a really fulfilled life, and hopefully be good dad along the way too! Love and best wishes Christian. My first panic attack happened 3 years ago in February. I was sat at St Pancras station waiting to travel back home, when I started to feel very sick and frightened. I made it on the train to the first stop where my partner picked me up in the car, and although I didn’t realise it at the time, the panic immediately subsided. From this point on-wards, the panic attacks became more frequent and noticeably every time I went too far away for my ‘safe havens’ the office, my car or home. The symptoms were always the same, a nauseous feeling, wobbly legs that felt as though they would give way under me, sweaty palms and the feeling that I would have diarrhoea at any moment. I started to avoid going out I had always loved shopping but the thought of going into town filled me with dread. Eventually it got to the stage where even setting off in the car for anywhere other than ‘safe’ places started the panic symptoms. In July last year, my partner and I went to Nice on Holiday. Those 2 weeks were the longest ever and I couldn’t wait to go home. Every time we set off for the beach, the old town or even the local supermarket, my legs would start to feel like jelly, but the sickness and diarrhoea feelings were overwhelming. I couldn’t breathe properly, and the heat seemed to make the panic symptoms worse than ever. One evening sat in our apartment, again, I made up my mind that this situation couldn’t continue. I first started seeing Sara in August last year for hypnosis. I practiced going out every day in my lunch hour and tried to go further away from my car each time. I kept a diary of where I’d been, when and how I felt. It was good to look back at the week and see what I’d done, and it seemed to push me to go more frequently. Even after several sessions of hypnosis with Sara support and conviction that the panic would pass, I had still not reached the point where the symptoms had stopped. On the 9th March at my penultimate session, I was still experiencing the panic symptoms, even though I could do much more than back in August. Even at this point, I still didn’t believe I would ever get back to ‘normal’. Sara asked me to start pushing the boundaries and try to push myself further out of my ‘safe havens’. I was determined to really try new things before my next session. The following weekend, my partner and I went to town. My task was to walk to Marks and Spencer on my own and then meet my partner back where he was waiting. I felt as though I had to remove a huge obstacle mentally just too even try, but I started walking and with each step realised that I still felt OK. I couldn’t believe the relief that I didn’t feel sick at all. It was as through something had just clicked back into place and the panic was gone. It now May, and although I sometimes feel a bit uneasy or reluctant to go somewhere in case it starts, I’m pushing myself to do things and the symptoms are no longer there. Every time I go out, I feel amazed that I don’t experience those symptoms. I never thought I’d get to this point, I thought I’d always suffer from the panic, but with Sara’s help and support and the different techniques she’s able to offer, I’ve made it and I’m determined to stop avoiding and start enjoying my life. I hope my words about my experience which I hope you can use to help other ‘see the light at the end of the tunnel’. Thank you again. I just want to say a BIG THANK YOU to Sara; a family member suggested I saw Sara as she had had a positive outcome from her sessions. I was unsure how this treatment could actually help me. I was struggling emotionally with issues around fertility and miscarrying twice. I was already blessed with a beautiful boy however longed for another one. This was causing serious issues between my husband and me. I saw Sara over a few months I also used the CDs and still do. I went through very difficult and upsetting sessions but felt that I needed to do this in order to move forward. Further into my sessions Sara recommended I took Red Raspberry to support my hormones and fertility issues. I strongly believe the results from the sessions addressing the issues emotionally / mentally, the red raspberry and a healthy diet have been more than fantastic. My relationship with my husband improved dramatically, I no longer felt the anger and frustration. We agreed to try fertility treatment for one last time and to our total delight found out we did not need it as we were already pregnant. During my scans we were told I no longer had PCOS the reason why we had issues conceiving and a contributing factor in miscarrying. I had had this syndrome for the past 15 years and no longer had it. We are now 25 weeks pregnant and feel sooooo blessed to be in this situation again, I believe that if I had not been to see Sara and addressed my emotional block and taken the red raspberry I very possibly would not be in this situation, not just the pregnancy but feeling better in myself and within my marriage. I would strongly recommend (and have) anyone see Sara, it is expensive but well worth the cost. 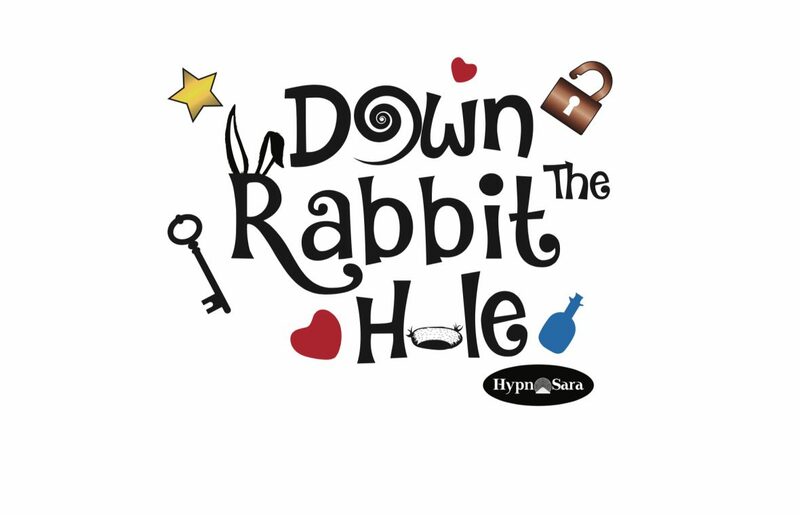 I would highly recommend hypnosis sessions with Sara. I have given up a 20-a-day habit with stop smoking sessions. So far I have saved over a £1000 by quitting smoking, so the sessions are tremendous value! Sara makes you feel very relaxed, and it is such a positive experience all round. After struggling by each and everyday with a phobia that was slowly overtaking my life, I decided to contact Sara to see if she could help me – and wow! the difference she has made to me is amazing! Previous anxieties seemed to just fade away and everything now seems clearer and so much easier to face. I cannot thank Sara enough and will be definitely be recommending her. Sara Stevens has changed my life…… and, yes Sara, I now find myself smiling for no reason. After decades when no one would listen, and when my GP (again) dismissed my fears saying you’ve reached your age without anything untoward happening to you, so carry on Sara’s understanding and guidance has changed my life. I still believe the initial problem was physical (not a panic attack) but without any help from my GP it then turned into a major eating and drinking phobia. After several sessions, and with the continued use of Sara’s relaxation CD’s, life gets better every day. I am so much more relaxed and looking forward to a happier future. The practice environment is first class, very professionally run, and Sara put me at ease very quickly on my first visit. Thank you Sara so much for changing my life. After trying to cope with a phobia/anxiety for all of my adult life, 50 years, I sought help from Sara. Sara made me feel relaxed and welcome from my very first visit, I also knew she took my fears seriously. After several sessions I cannot believe how my life has changed for the better, I feel excited about life and the future and get so much more out of every day. Words cannot express how grateful I am, thank you Sara. Many thanks for helping me become the confident person I always wanted to be. I was brilliant at the hearing and I am still amazed at how confident I felt, I walked into the room with no anxiety (I particularly thought the eye movement helped), my reading was clear and calm (almost BBC style!) I answered all the questions with confidence and even dealt with the defence barrister well and was very alert answering his awkward questions. The outcome is that the committee found me to be a credible witness and have found him guilty on all my complaints and is being reprimanded sufficiently. Once again many thanks, I still cannot believe it. I can’t thank Sara Stevens enough for all she has done for my 14 year old son. He is now talking with confidence after 10 years of stammering. The results are amazing, he is hardly stammering at all now and at times he is completely fluent. We are absolutely delighted. My son needed just five sessions, but we could start to see results after just one. Sara was recommended to us and I would definitely recommend her too, we found her to be very understanding and professional. I did my presentation last night to 16 people and I still feel elated this morning! I still had some nerves but not the dreadful stomach lurching/churning or the rapid heartbeat, so I was able to control the few nerves I did feel. My voice didn’t shake, I didn’t blush or sweat, my hands were no more shaky than usual. I got my words mixed up occasionally but it didn’t bother me – I corrected myself and carried on. At times I actually felt confident!!! I feel that I’ve overcome a huge hurdle and feel light and positive (if that makes sense). I just wish I’d come to see you years ago. Thank you, thank you, thank you. First and foremost I want to say thank you so very much for all the help, advice and support you’ve given me with my constant battle with weight. At last I am in control not my appetite! The way I feel now is amazing. No more of that bloated sluggish feeling. I feel and look so much better and I’ve lost 2 stone in 10 weeks without really trying. My whole outlook towards food has changed completely and I’m happy with that, which is something I never thought I would feel. Thanking you again. I would like to say a big thank you. I visited you to give up smoking. I remember lying there thinking it’s not working I can hear every word. For 15 weeks it’s been working just as you say on the CD. I know its early days but I am amazed and my family more so after 60 odd years of smoking. You have helped me to stop just like that. It was a very strange feeling at first, now and then I do fancy a cig but it soon passes and other people lighting up does not bother me at all. Thank you for the one hour stress management treatment you gave me. I know now how to control my levels of stress and feel great not to have that nagging worrying voice and I do really look forward to playing my tape when I get home from a busy day. I will continue to recommend people to see you as my results are just great. Last November, five months after my son was killed in a climbing accident I had an hours session with you. I was to start treatment for depression after my visit but that proved to be no longer necessary. Hypnosis had such a relaxing effect on me and the tape helped me relax and aid my sleep. I was on strong sleeping pills but almost immediately found them no longer necessary, if anything, I think I sleep better now than I did before the tragedy. I had panic attacks in public places and I couldn’t go anywhere…. After several sessions of hypnosis and Sara’s support it was as if something had just clicked into place and the panic had gone. I never thought I would get to this point but with Sara’s help I have made it, I hope this can help others see the light at the end of the tunnel. Thank you I couldn’t have done it without you”. Amazing results! Having suffered from a fear of heights for nearly 30 years, I was desperate for help to try and cure my fear before a planned trip of a lifetime to Las Vegas which involved a number of height related activities which I knew I would never be able to do. A friend recommended Sara to me, I was sceptical about hypnotherapy and couldn’t understand how this could possibly work for me but felt it was worth a try. However after 5 sessions, I travelled to Las Vegas and was amazed and thrilled to find the hypnotherapy had been a complete success. I was able to do the Skywalk, The glass walkway over the Grand Canyon, the helicopter ride over the Canyon and Slotzilla, the Zipline 77 feet above Fremont Street with absolutely no feelings of fear whatsoever, I just felt a feeling of excitement and elation at being able to do these activities. Thank you Sara for all your help and for opening up so many more opportunities, which I could never have dreamt about before the hypnotherapy. Thanks again. I turned to Sara for help when my anxiety had become so unmanageable it affected every part of my life. I had never tried hypnotherapy before and had little understanding of how it could work. On my first visit Sara spoke with me about how I had been feeling and explained the science of hypnotherapy to me, answering any questions I had. I can honestly say that within two sessions I felt a big difference. No longer was I waking up every day with a feeling of terror or spending hours worrying about the future. Sara’s skill in hypnotherapy and her good advice has helped me to make anxiety a thing of the past and to enjoy my life. Family, friends and colleagues have all noticed how much happier and calm I am. I would 100% recommend Sara to anyone who might be feeling as I did. Thank you so much. 5 months ago, following some life changing events over the last 18 months, I was struggling to cope with even the mundane pressures of everyday life, my confidence was eroded and I quite literally shut myself away from everyone. Sara worked at a pace that was dictated by my responses, never rushing and allowing me to make steady progress, slow at times but sometimes taking what felt like monumental steps forward. By far the strongest feeling that I came away with was that Sara guided me to seek my own answers and this gave me back the confidence to live the life I want, to face the setbacks along the way, and be the best I can be. I couldn’t have asked for more! Thanks for sharing these wonderful tips. They are indeed very helpful to children who are still building trust with their experiences. A lot of adults too still have that dental anxiety that they need to overcome and they can use these tips to help them. I started to see Sara to try to help control my IBS but by the end of the consultation session Sara had found out that the real problem was my underlying anger issues. The smallest most insignificant thing would cause the red mist to drop, but after a number of sessions I began to see an improvement. By the end of my time seeing Sara, I am now able to fully control my anger and that I can now think before I react. This is something that I should have done years ago and it has totally changed my life. Sara, Thank You. I came to see Sara because I had a problem with blushing, I would go red all the time and it severely affected me. I was very sceptical of hypnotherapy but felt that I was prepared to try anything to stop blushing. I went for a few sessions and then used the CD’s at home that Sara gave me, the other day I was thinking how my anxiety had practically gone and I hadn’t even gone red even at times when I normally would. I didn’t even realise it but the treatment has worked. I would definitely recommend to people who like me suffer with blushing. Thanks Sara. During a course of sessions Sara helped me to realise the unhelpful thinking trap into which I kept falling. She skilfully took a lot of the negative power out of my memories of previous traumatic events. I am very grateful for her compassionate guidance. I just want to thank you again for all of your help so far. You have helped me so much to look at things differently and you have taught me that every situation isn’t a sales situation, and that I can be ‘me’ and don’t have to feel like I have to hide my opinions in normal life. I think my mind was that scrambled up with pleasing everyone that I had lost who I was or even what I liked or disliked and without your help I don’t think I ever would have seen that. The work you have done with me is truly amazing, because as you already know, and probably knew from the minute of meeting me, I will not/do not let my guard down easily. You have taught me to calm down, own who I am and actually live life, away from work. As said you really are fantastic at what you do, you don’t judge, you didn’t make me feel silly or embarrassed not even for a moment and for me, you gave me my life back and helped me remember who I truly am. Thank you so much for your help. My trip was so different and I’ll be back for a top up. Thank you for helping me feel the best I have ever felt !, I really appreciate your sessions, you treated me like a person rather than a client. I didn’t feel weird or ashamed asking for help which was a barrier in the past. I now feel much more in control in my life and now starting to make steps towards my long term goals. I now feel much better in myself and I can soothe my emotions rather than stuffing them down and avoiding them it’s like living in the light. Thank you again for all your time and support and may all of your clients htat come your way feel as good as me.